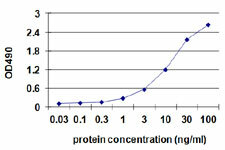 Quality control testing picture note: Sandwich ELISA detection sensitivity ranging from 0.1 ng/ml to 100 ng/ml. 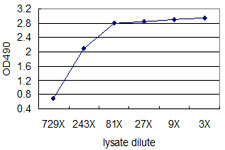 Application image note: Standard curve using 293T overexpression lysate (non-denatured) as an analyte. 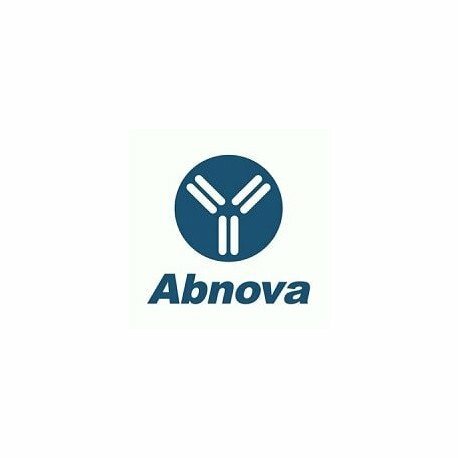 Sandwich ELISA detection sensitivity ranging from approximately 729x to 3x dilution of the 293T overexpression lysate (non-denatured).